I'm deleting Joe567's nasty thread. My husband is on 2 different probations. Last year he had 1 of his probations revoked for not following the release agreement by not seeing his PO and a few other things. He spent over 3 months in jail and when he got out he thought that he was completely done with jail time. He has since followed all his rules of probation and has done very well until the other day he was arrested for a warrant out of the same county for the same charges as the year before , the only difference is that they are trying to violate a different probation, not the one that was revoked. So my question is, is this legal? Isn't it double jeopardy and shouldn't the court have brought up the issue of the other probation in the same hearing as before? How can they wait a year before issuing a warrant when he was sitting in their jail when the charge against that probation was originally documented. Help I need my hubby home before Christmas! If I took photos of someone getting married at a public location, then used the photo as part of my wedding website showing my artistic photography skills (at the top of the page it says “examples of my art”), would I be at any high risk of being sued without bothering them for a signed waiver? Why can the news media do it legally? I know that CNN, NBC and the rest are all in it to make money. They are not giving the people news for free. They say you can show your artistic ability but how can an artist do it without promoting himself at the same time? I am advertising my business but also showing my artistic capability and enjoying my right to work. Even the newspapers have to make a profit. I did not want to bother the couple and ask for a signed waiver. Or ask the building owners of the buildings in the background. Just using the photos to promote my services as a photographer and since the couple was there at a public park, could I have taken the photos? Here is what I heard - Nobody's going to spend tens of thousands of dollars on lawyers to collect a few hundred in damages. If you use the image and they raise a stink and you don't stop using the image, they will have their lawyer send you a letter to cease and desist. That's required. If you don't desist, then they can try to sue. I guess if the person ever noticed themselves, all they could do is ask me to take it off and if I did take if off the website, nothing much more to be afraid of then, right? legally be used for commercial purposes. But I also heard that In the U.S., street photographs, taken of people and things visible on the street, in circumstances where there is no reasonable expectation of privacy, can be published, displayed, and sold as "art" (as distinct from their use for advertising, promotion, or "commerce") without obtaining permission of the people photographed. In fact, a New York State Supreme Court judge recently made judgement on a case and said that the photographer's right to artistic expression trumped the subject's privacy rights. New York state right-to-privacy laws prohibit the unauthorized use of a person's likeness for commercial purposes, that is, for advertising or purposes of trade. But they do not apply if the likeness is considered art. I would be just using the photos of a bride and groom or people playing volleyball to show my artistic services as a photographer. What do you think? "If the law were to forbid artists to exhibit their photographs made in public places without the consent of all who might appear in those photographs, "then artistic expression in the field of photography would not be protected under the freedom of speech and freedom to perform art would suffer drastically" right? Most courts have consistently found "art" to be constitutionally protected free speech. If I show off my artistic ability is it alright? A profit motive in itself does not necessarily compel a conclusion that art has been used just for trade purposes. Can a photographer therefore be allowed to show one person's existance to another? It doesn't matter if it's a photo of a war, or whatever......it's a function (and personal freedom) of photograhers everywhere to show the world, the existance of the rest of the world, even on their website right?. In the book: Legal Handbook for Photographers: The Rights and Liabilities of Making Images" by Bert Krages. The short answer is you can take anyone's photo in a public place where they are also in public view, and you can publish their photo in a book of street photography without their permission (or post it on your web site). How about all the artistic “street photographers out there”? I thought that I could take photos and show off my art work on the web. This is called the "pursuit of happiness"..doing something you enjoy doing, that doesn’t harm anybody else..and there is a rather famous document that says you have the right to pursue that in the USA. "As soon as the shutter clicks...." copyright belongs to the photographer. These photos would be exhibited on my website for my photo business as examples of my 'art'. Just think at any wedding, you would have to get a “model or other release” from the bride and groom, plus each family member or guardian, table makers, chair makers, flower arrangement company, wedding dress maker, church owner, silverware company, any owners of buildings in the background, etc... I could argue that a wedding or volleyball game is publishable in a newspaper as an event that took place. To quote Benjamin Franklin, "Those who would exchange freedom for security deserve neither'. So here it is again: If I were to take of photo of people getting married at a public location, then used the photo as part of my wedding website showing my artistic photography skills, would I be at any high risk? How about is the headline reads “Examples of my art”? I'm not trying to be pushy but I'm lost and need help fast. court sent me a letter 7 days the date i have to be in court. it took two days in the mail then it was the weekend sop by days are numbered before i have to be at court got 2 days to figure out what to do. Thanks for your help with this...My husband to be and I were at a party where I was designated driver and he and the new couple we just met played some darts at a bar and then they took us to their friends house. Where that friend proceeded to get everyone lit and had loud music on parting in garage turned game room. Everyone was up and dancing and all of the sudden my future husband came crashing down on this guys table. The coffee table did break and he said to the guy (whos house we were at that he would fix it -well he had been drinking and is no carpender) so the guy demanded $100.00 right then and there - well we are broke and there was no way I was letting my man pay $100.00 for a yardsale appearing coffee table. It was very dated (not a good kind of antique dated - but a bad kind of old used and passed down dated). There were buckles everywhere on this table. The next day the guy left me a voicemail stating that he wanted now $200.00 to buy a new table. Of course my answer is still no. Meanwhile I drove to three thrift store in the area. I got almost the exact table as they were looking for...it was light oak, it just did not have the bottom that their table had (sorta a bottom shelf)...but it was in way better shape on top than the table that was previously broken. I also brought a nice coffee table that did not match, but it was way nicer with two nice glass peices (nothing broken chipped anything) and it was a darker wood. So we drove 40 miles + round trip and brought the tables, well they took the lighter colored table and said they would use it until we paid for their new table on Sunday (this was the Tuesday before). We I posted two ads on craigslist looking for anyone that had this exact table and no -one responded to my ads even with a picture posted on it so my future husband called the guy today to say we looked for the exact table to get you, and we could not find it I am willing to mail you a $50 check today, now the guy says he is going to sue us for the table and court cost etc. Now we are not suing types of people...but isn't is so that my husband to be could complain of neck, back and sholder pains and sue this guy for falling on his property? Not that we would - but we just want to tell this guy he has a loosing case. Please let me know your thoughts. Appreacate your time. Have a great day and I look forward to hearing from you. My name is Stanislav. I live in Santa Clara County, In San Jose CA. My friends and I were really bored and did something really stupid. And now i am here asking for any help which i can get. Tuesday morning we went out to an appartment complex and we were checking for cars which were unlocked to get small change and nothing greater then that. We found only one car which was unlocked and the other two cars my friends cut open soft tops. I know this was not the smartest things to do. We are all really good people which happen to make a big mistake which can cause failure to us in the future. What happen was when the alarm went off we all ran, the 5 of us. Two of us got away from the security which notified the police right away. My friend and I ran not to far and the other 3 got caught. All they had on them was a knife, a few pens, and a glow stick. When i went back to see if they got caught, not having any stolen property on me and a new set of clothes one of the cops asked me what i was doing and i told him that i was looking for my car. He told me that there was a burglary going on and he just wanted to make sure that i was not part of it. So he asked me where i was comming from and all that other stuff and i told him i was just looking for my car it was parked somewhere in the apartments. When he asked the security guard to come and see if i was one of the suspects the security guard told them 100% sure that I was not part of the group he saw, and that they were all asian. My phone went off as a text message and the cop asked me who it was and asked me if i can show him my phone. When i asked him if he can legally look at my phone, he put me in an arm lock for no reason and told me there was an investigation going on and asked me for my phone after he let go of the arm lock. I gave him my phone but my phone was LOCKED with a password. He told me if i dont give him my password i was going to go to jail. So i had to unlock my phone for him and he read the text message from my friend which said DID YOU FIND THEM YET? can he legally use that against me, Also can he put me in an arm lock if i didnt do anything wrong to his knowledge. They put me in hand cuffs and told me that if i dont cooperate with them then they will bring me to jail, he had me show him where one of the cars was. He told me that if i showed him they would let me go. Then out of no where we started going to down town, STILL NOT KNOWING MY RIGHTS, They told me that i had to write an APOLOGY Letter to the owner of the cars or to whom ever i want. So i told everything except the car tops which they later found. Can somebody please tell me what i can do. I was in Jail for 4 days and bailed so i can do anything in my power to get my self out of this bump in my life. *Can they really take my phone with force like that"? *Do they have to read me my Miranda Rights? 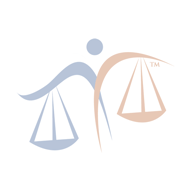 *Can i trust the Public Defender? *Can they use what was on the Cell Phone? *Can they use the "Apology" letter against me? 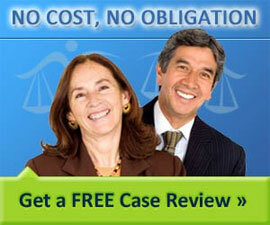 *What can i do if i cannot afford a Lawyer? With out the phone there was no way they can link me to the crime until i wrote the confession letter not mentioning the soft tops. I already know My friends and I want to pay restitution to the people for their soft tops, but can they use any of the info i gave them because without my cell phone they cannot link me to the crime. I posted a message in 2004 and I would like it removed please!!!!!!!!!! My user name is danab55 and all options to edit my post are gone. Please help me. Links to information from my post on DOL. 1) What Is In House "mouse House" Financing? 2) Will There Be Any Repo Or Negitive Actions To The Credit Of Myself Or The Co-signer Of My Current Car If I Turn It In? I am divorced as of Sept 2006. There was an oral stipulation in court after a lengthy meeting before intended trial. The stipulation was regards to splitting assets. There were no children involved. This was a 30 year marriage. After a year of trying to get compliance, my attorney filed for contempt and asked for a receiver and a referee. My attorney did not tell me what the costs associated with this practice might be. The motion was filed in November of 2007. We have been to court three times and still not seen the judge. His attorney is pushing for a settlement that would give me a piece of property that is commercial and no cash. He is presently in this building with two businesses that he has intentionally made look very bad. There was supposed to be an inventory done in 2006 and the judge would not enforce. I am positive many of the assets have disappeared and the businesses we were supposed to sell are not looking salable. I have spent over 100,000.00 to get this resolved and to this point have recouped only some IRAs that were to be split (very small). I feel the judge has made a grave mistake in not allowing an inventory to be done before this time. I am terribly afraid of accepting the present offer because I have no cash to back this building if it becomes empty which is most likely the case. My question is "Is it worth going to trial now after the judge has harmed me but disallowing any true discovery of assets?" Although he is clearly in contempt, normally would one be compensated for legal costs involved in resolving this issue? I am really on a fence and feel that my attorney is almost giving the case away. I would appreciate greatly any advise from experience that I could hear. Several months back I was at an interview for an EMT position and somehow during this time I bumped a gentlemans' vehicle unbeknownst to me. Well we ended up in court and I accepted the punishment as 90 days of probation (leaving the scene of an accident/failure to render aid) was the charge... mind you this was a vehicle no one was in and in a parking lot I further agreed that if the insurance did not cover the damage then I would make restitution. Low and behold I was pulled over today for speeding as I am a transport driver. I was then taken to jail for driving on a suspended license without receiving any notification of this ordeal. I was not sentenced by the judge or county attorney to have my license suspended only the above punishment. While sitting in jail the pre-trial official told me Frankfort DMV makes that decision not the Judge and COunty Attorney...is this correct? And is there a way to get a hardship license considering I make my living and support my family by driving for the RailRoad. Can you please look at my forum under hire/fire in employment? Thanks! Is it true that Condo Management Company can confiscate my Condo? I am 68 years old living on a fixed income. Because our complex had none of the enmities promised in working order (pools, gym etc) I had to charge my tenants less then half of what the rental should have been. The Condo Association was so busy fighting among themselves; crime was running rampant and my tenants moved out (as did quite a few others). Due to the lack of upkeep and fear, I have not been able to rent out the Condo. Yet the Management Company sent me a bill in the thousands giving me until the 11th to pay them. Yes it is the same Management Company that they have always had. Can I file a Counter Claim if they try to take the property? My name is Samantha. Today my father went to the Consumer and Business department because he recieved a ticket for carrying out the garbage we produced while renovating the house. Today was the hearing, and so we all went down their, and I decided that we should settle because the fine was five hundred dollars. the attorney who spoke to us said that although its our garbage and it is not a business it had construction waste and we needed to either hire someone to remove it or get a container we can't do it ourself. So I settled but people are saying that it would be better to go infront of a judge, and my parents are thinking the same way. Do you think it would have been better to go infront of the judge, and the fine that recieved from the settlement would have been dismissed? I was sitting here watching TV eating sunflower seeds I had just bought from 7-11 just an hour and a half ago. I found a small looking pine needle sticker thing with like needles somewhat type of a sticker I think. I had put it in my mouth without knowing along with other sunflower seeds I got out of the bag, the needles cut my tongue and made my tongue bleed. I have the bag the receipt and pictures of my tongue bleeding. I tried to call the company but they are closed until Monday. What should I do?